Coffs Clinical Network implemented a clinical guideline procedure with processes to improve the delivery of safe and timely medications to people with Parkinson’s disease (PD). Improves patient safety and provides timely access to medications in hospital. Reduces falls risk and symptoms associated with PD, such as tremors and agitation. Improves patient and carer satisfaction with their medication management. Reduces risks associated with prescribing contraindicated medications. Engages staff, patients, carers, PD support groups and other stakeholders. Allows patients and carers to be involved in their treatment and care. Reduces readmission rates, avoidable admissions and length of stay. Provides alternative options for patients who can’t swallow (nil by mouth). Research shows that patients with PD who are admitted to hospital have a longer length of stay, more complications and worse outcomes compared to similar patients without PD.1 In addition, 50 per cent of PD patients do not receive their medications on time.2 Delaying medications for more than 15 minutes can worsen symptoms of PD, including tremors, rigidity, confusion, agitation, anxiety, loss of balance and difficulty communicating. The research suggests a significant number of patients with PD (21-41 per cent) are prescribed contraindicated drugs (medications that are not recommended for the patient because they may be harmful) with serious complications, including neuropsychotic complications in more than 50 per cent of patients.2 Abruptly stopping these medications can have severe consequences. In 2016, clinical reviews of PD patients at Coffs Clinical Network identified similar patterns to the literature. It was determined that a strategy was required to improve the care and safety of this vulnerable patient group. ‘Grand Rounds’ – a patient story and overview of a multidisciplinary approach to care – was filmed and uploaded to the Mid North Coast Local Health District electronic health education platform, to be accessed by all staff. It was also broadcast around Australia on Nambucca Valley Radio. A green PD icon was introduced to the patient tracking board in the emergency department (ED), to ensure patients with PD are identified on admission. 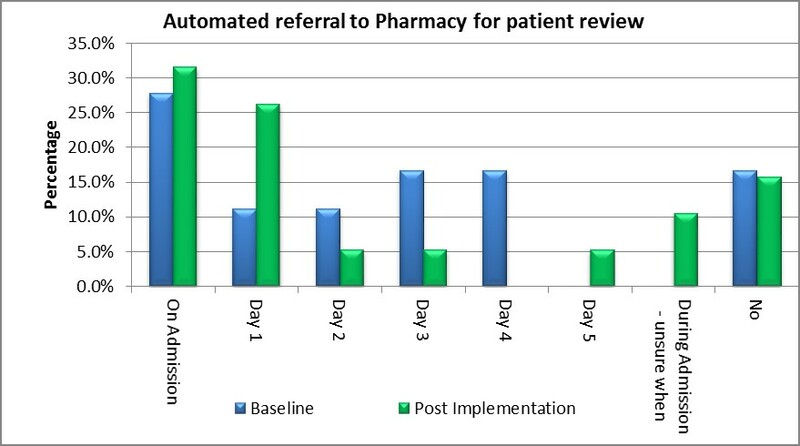 An automated referral to the Parkinson's nurse consultant and pharmacist was developed and triggered when a person with PD presents to hospital, initiating early identification, review and interventions of care. PD medications were made available in the ED, to avoid delays in administering medication on time. Stickers were added to patient medication charts and pictures of alarm clocks were posted at patients’ bedsides, providing a visual cue for critical medication times. Contraindication medication stickers were developed, to highlight the top three medications used in hospital that should not be given to patients with PD. A clinical algorithm for changing a person’s medication when they can’t swallow was developed and incorporated into a new PD clinical guideline. In-service education was delivered to ED and ward staff by the clinical champions working in those areas. Formal and informal monitoring of compliance with the new clinical guideline was undertaken on a regular basis, with results discussed at team meetings. Any non-compliance, complaints or adverse events were peer reviewed at meetings. 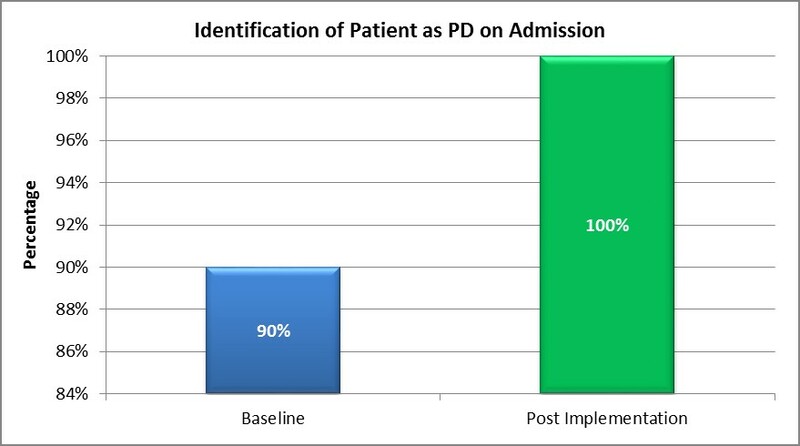 The number of patients with PD identified on admission increased from 90 per cent in June 2016 to 100 per cent in November 2016 (Graph 1), resulting in earlier and more frequent referrals to pharmacists (Graph 2). 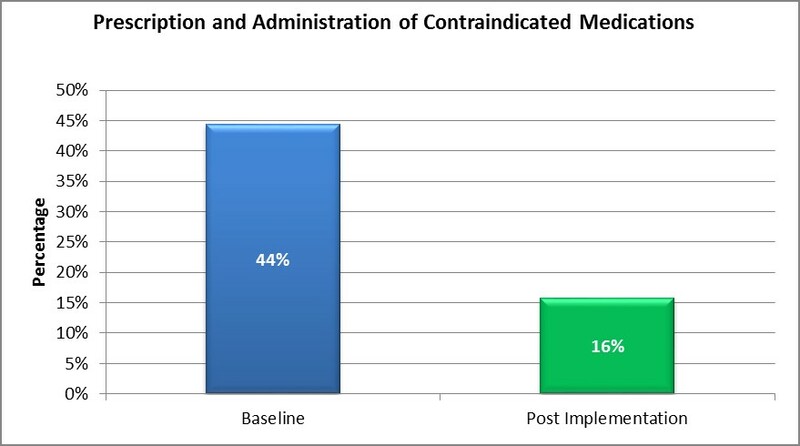 The prescribing and administration of contraindicated medications reduced from 44 per cent in June 2016 to 16 per cent in November 2016 (Graph 3). 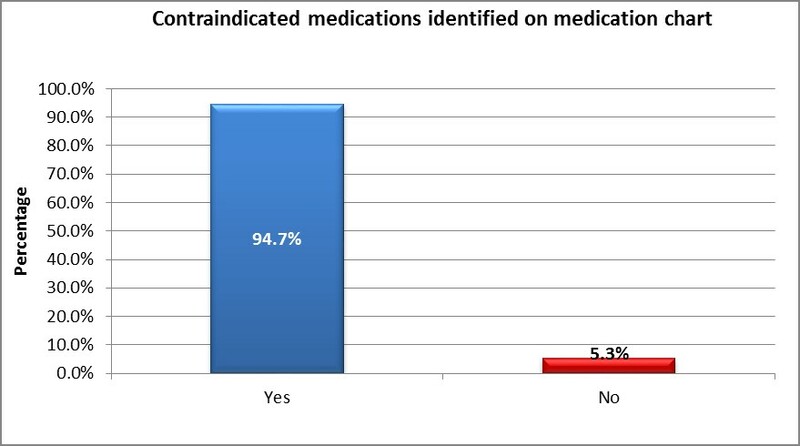 Contraindicated medications identified on the patient’s medication chart reduced from 94.7 per cent in June 2016 to 5.3 per cent in November 2016 (Graph 4). 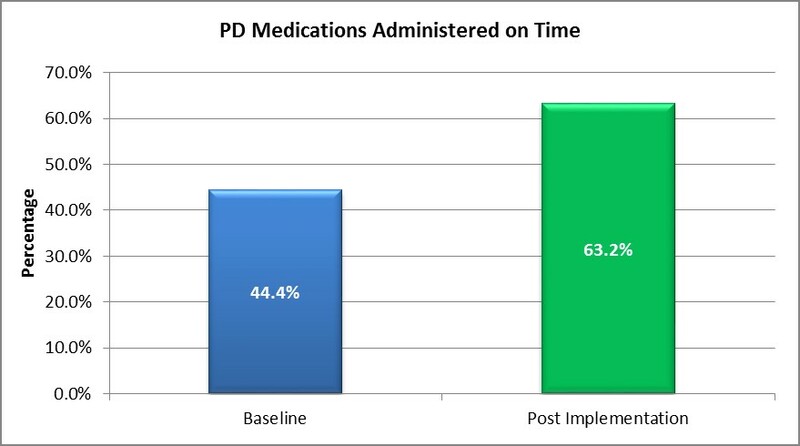 The number of patients with PD who received their medication on time increased by 19 per cent, from 44.4 per cent in June 2016 to 63.2 per cent in November 2016 (Graph 5). Patient safety improved, with reduced falls and adverse events. 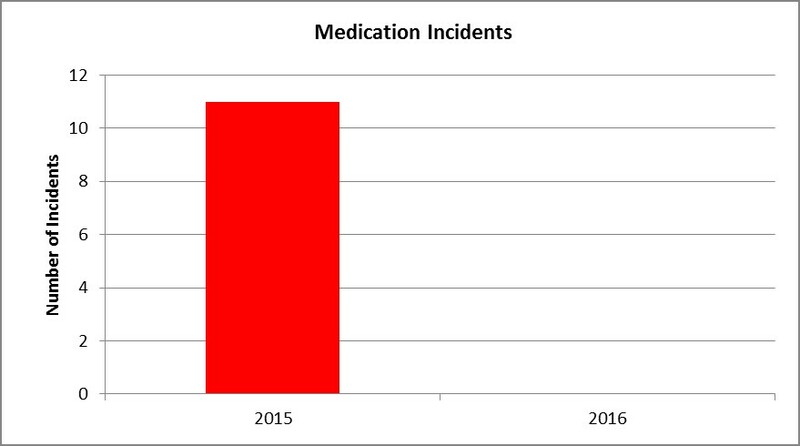 Medication incidents reduced from 11 in 2015 to zero in 2016 (Graph 6). 100 per cent of staff indicated that access to medications in the ED helped them avoid incorrect prescribing and errors in medication timing. 93 per cent of patients indicated they received medications on time, with all staff indicating that the clock by the patient’s bedside highlighted the importance of on-time medications. 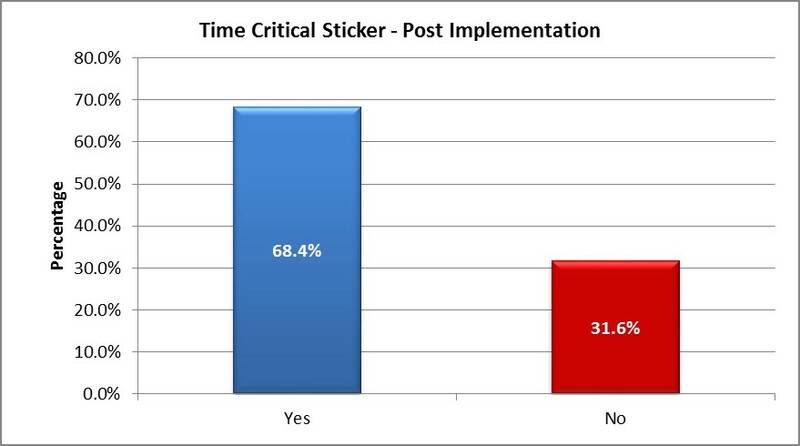 The time-critical stickers on patients’ medication charts achieved 68 per cent compliance (Graph 7), with all staff indicating they were helpful in highlighting the importance of on-time medications and 64 per cent of staff stating they had changed their practice as a result. There was an 28 per cent reduction in prescriptions of contraindicated medications between June 2016 and November 2016, achieving significant cost savings. 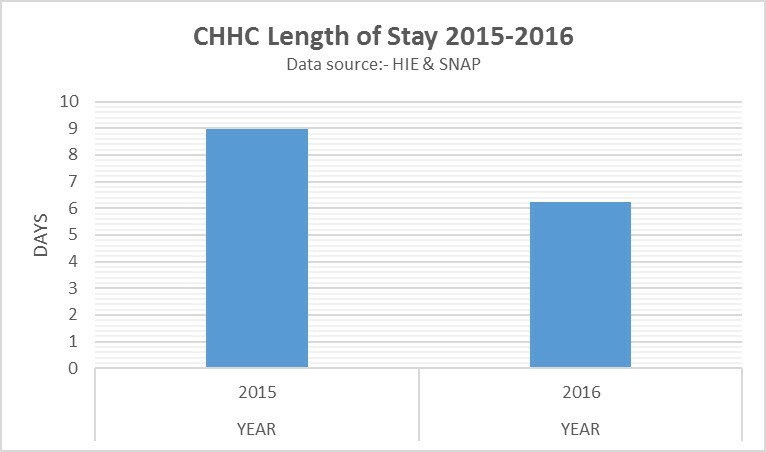 Length of stay for patients with a secondary diagnosis of PD reduced from nine days in 2015 to 6.2 days in 2016 (Graph 8). A survey of patients and carers showed that 80 per cent were very satisfied with their medication management. Patient and carer anxiety reduced with increased satisfaction. All resources and guidelines are available for adaptation and use within NSW Health facilities and services. There is also potential to extend the project to other hospitals across Australia and internationally. The project team is incorporating electronic prompts about contraindicated and time-critical medications into the new eMeds system. The new clinical guideline has been approved by the Drug and Therapeutics Committee in December 2017 and will be formally evaluated between July and October 2018. 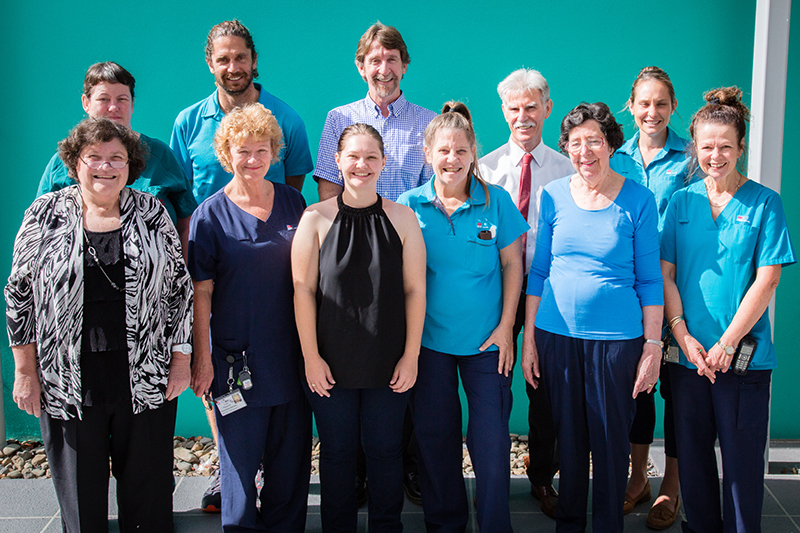 Results from this project have been instrumental in continuing the Parkinson’s Nurse Consultant position in Coffs Harbour and approving another position in the Port Macquarie area. The benefits of having a Parkinson’s nurse is now a separate research project currently underway with Charles Sturt University. Finalist in the 2017 NSW Health Awards, Patient Safety First category. View a poster from the Awards. Strong clinical leadership can transform staff frustration into positive energy and encourage them to change practice. It is important to involve clinicians and executive support to ensure sustainable change. Gerlach O, Winogrodzka A, Weber W. Clinical Problems in the Hospitalized Parkinson’s Disease Patient: Systematic Review. Movement Disorders 2011;26(2):197-208. Oguh O, Videnovic A. Inpatient Management of Parkinson Disease: Current Challenges and Future Directions. Neurohospitalist 2012:2(1):28-35. Harris M, Fry M. The utilisation of one district hospital emergency department by people with Parkinson’s disease. Australasian Emergency Nursing Journal 2016;20(1):1-5. Aminoff MJ, Christine CW, Friedman JH et al. Management of the hospitalized patient with Parkinson’s disease: current state of the field and need for guidelines. Parkinsonism and Related Disorders 2011;17(3):139-45. Institute for Safe Medication Practices (ISMP). Guidelines for timely medication administration: response to the CMS “30-minute rule”. Horsham PA, USA: ISMP; 2011. Lubomski M, Rushworth RL, Tisch S. Hospitalisation and comorbidities in Parkinson's disease: a large Australian retrospective study. Journal of Neurology, Neurosurgery and Psychiatry 2015;86(3):324-30. Wood LD, Neumiller JJ, Carlson JD et al. Challenges of medication management in hospitalized patients with Parkinson’s disease. American Journal of Health-System Pharmacy 2010;67(23):2059-63.